When clients are faced with difficult problems, Pat puts them at ease. He uses a hands-on, practical approach to walk clients through sensitive and complex matters. 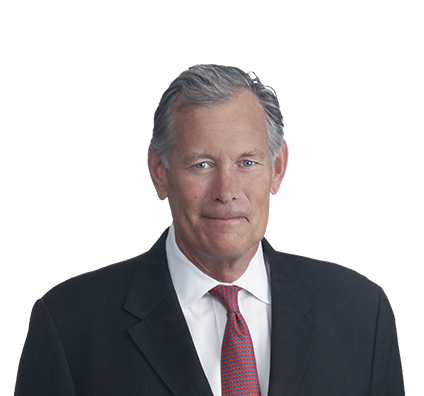 Pat has more than 30 years of experience successfully representing corporations and individuals in investigations and enforcement matters, including the defense of claims under the False Claims Act and whistleblower actions. Pat represents clients across a span of industry settings and is experienced in healthcare, securities, tax, financial markets, antitrust, export and trade regulation, government contracts and proceedings and environmental matters. Pat also leads sensitive internal investigations for corporate clients, including boards of directors and audit committees, and counsels clients on effective corporate compliance and ethics programs. He has led monitoring and other significant internal compliance engagements. In business litigation, Pat represents corporations, directors and officers in breach of contract, fraud, negligence, product liability and tort cases. Represented executive in DOJ Antitrust Division criminal investigation involving alleged price fixing and market allocation in generic pharmaceutical industry. Defended company and executive in DOJ criminal investigation relating to state and federal set-aside contracts and parallel state proceedings, as well as civil False Claims Act litigation. Represented health system in disclosure and resolution of Stark Law and anti-kickback issues relating to compensation under practice lease agreement. Defended chief executive and behavioral health clinic in DOJ and state fraud control unit investigations, including defense of qui tam litigation relating to alleged improper testing and telehealth services. Defended multispecialty physician group in DOJ investigation and related qui tam litigation involving alleged Stark Law and related violations. Defended current and former employees of major aerospace/defense companies in multiple DOJ investigations relating to government contracts. Represented CEO in investigation and Wells process by Securities and Exchange Commission (SEC) relating to alleged fraudulent disclosures and reporting matters. Defended private equity funds and managers in DOJ criminal investigation relating to valuations of assets and other financial transactions. Defended employees in DOJ criminal investigation and prosecution of putative violations associated with handling asbestos-containing materials. Led internal investigation and disclosure to DOJ of physician group billing fraud and resolution of FCA claims and civil litigation against responsible providers. Defended companies and executives in SEC investigations, Wells process and enforcement proceedings relating to revenue recognition and reporting of financial arrangements. Defended clients in criminal tax investigations by DOJ and Internal Revenue Service relating to off-shore accounts and alleged evasion of tax obligations. Represented executives in DOJ and SEC investigations of potential FCPA violations relating to business operations in various overseas countries. Defended multiple DOJ fraud and abuse investigations and enforcement proceedings, including whistleblower (qui tam) cases, relating to hospital and physician arrangements, alleged kickbacks, and improper billing and coding practices. Represented current and former employees of major pharmaceutical companies in DOJ and state attorneys general investigations into off-label marketing and sale of drugs. Defended companies and executives in state attorney general investigations and enforcement proceedings involving business practices in violation of the Martin Act (New York) and related consumer protection statutes. Defended private equity funds and managing members in SEC investigations relating to alleged fraudulent disclosures and accounting practices. Represented bank directors in Office of the Comptroller of Currency investigation and enforcement proceeding relating to executive compensation and oversight. Represented global medical device company executive in DOJ and state attorneys general investigations relating to marketing and sale of implantable device. Represented chief financial officer in SEC investigation and enforcement proceeding relating to alleged fraud in financial reporting and revenue recognition accounting. Defended life sciences company in DOJ and Food and Drug Administration investigations concerning alleged FDA CGMP violations. Defended private equity firm in litigation relating to post-closing price adjustment claims stemming from allegedly improper healthcare billing practices. Represented boards of directors and executive teams in resolution of healthcare fraud and abuse exposure issues through voluntary disclosures and other corrective actions. Defended companies in DOJ investigations involving the pricing, marketing and distribution of medical devices and pharmaceuticals. Pat enjoys challenging his fly-fishing skills on lakes and streams across America. His favorite spot is East Rosebud in Montana.